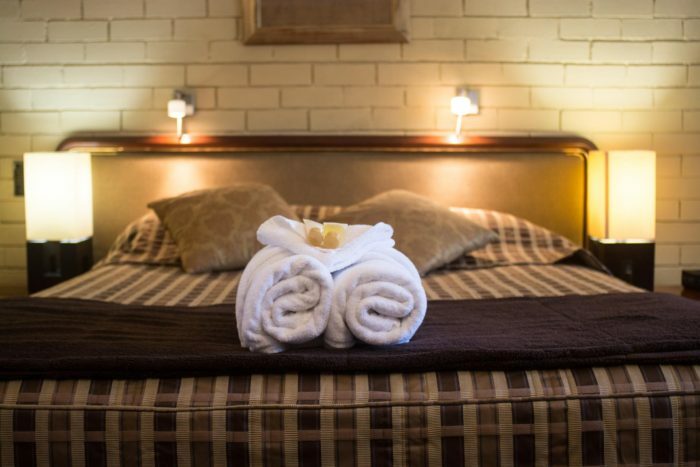 Clean, quiet and comfortable, our Standard Rooms have all the facilities you need and expect. Ideal for solo travellers, corporate visitors, and couples, these rooms are smoke-free and great value for money. Standard inclusions: Lounge, table, bar fridge, microwave, tea/coffee-making facilities, ensuite, ironing facilities, TV with Austar, Wireless Broadband, silent water heating, and air-conditioner.